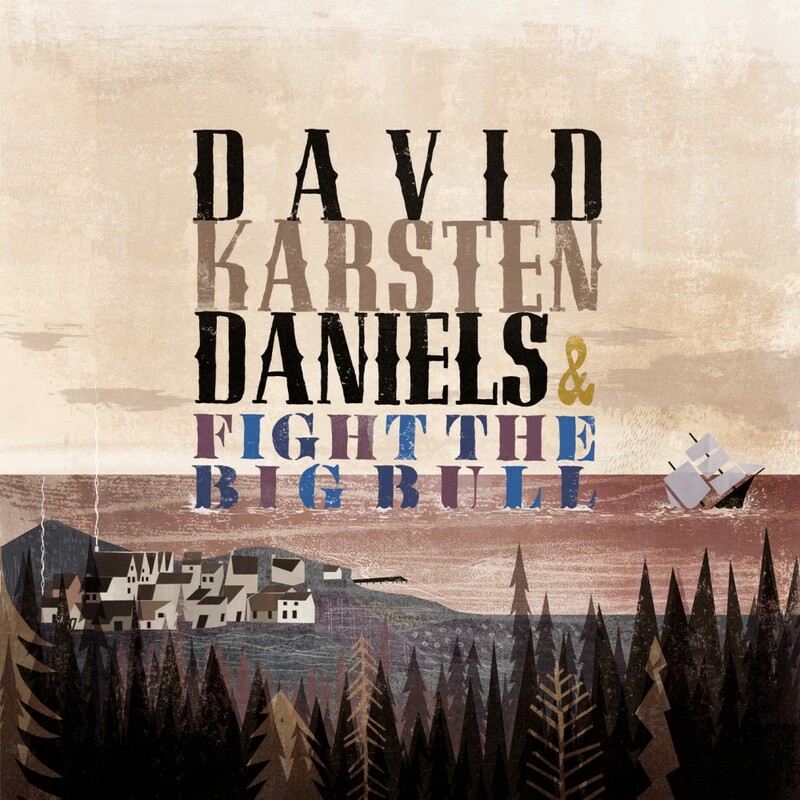 San Francisco-based artist David Karsten Daniels collaborates here with Richmond, Virginia-based 9-piece avant-jazz collective Fight the Big Bull. Their debut album together - 'I Mean To Live Here Still' - is the product of two decidedly individual, but musically (and geographically) distant sets of musicians. 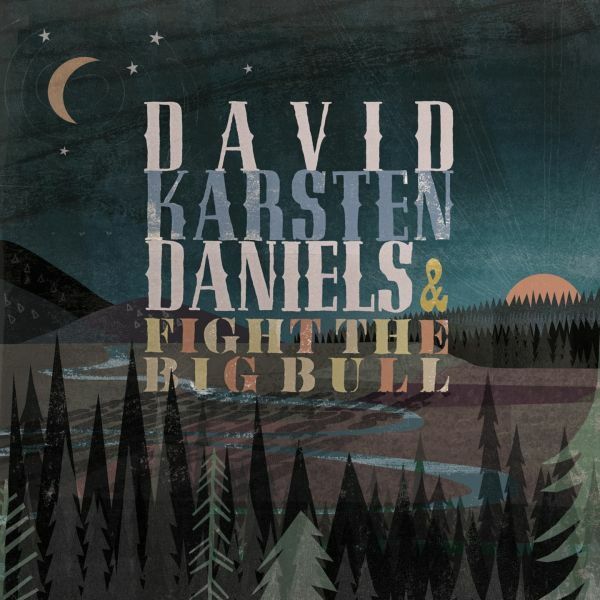 David Karsten Daniels is an immensely talented, formally-trained composer/musician with a background in hymn singing and four-track experimentation, and a release history of gentle, acoustic, plaintive folk music embellished with touches of orchestration and jazz. He has released two full length records through FatCat - 2007's Sharp Teeth and 2008's Fear of Flying - following a handful of albums released through his own Bu_Hanan Collective label. 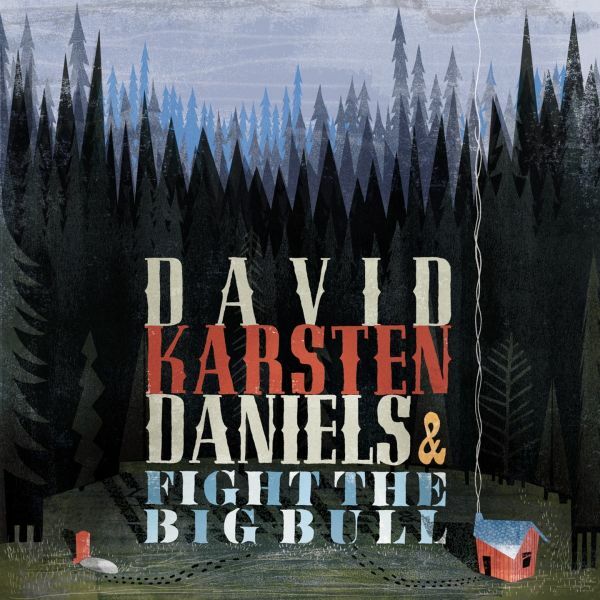 Daniels made a tentative connection with Fight the Big Bull in 2008. The latter, a nonet led by composer/arranger/guitarist Matthew White, exist loosely in the Duke Ellington/Charles Mingus/Ornette Coleman plane of jazz, yet are fiercely, often unpredictably, unique. The band's head-spinning spirals of instrumentation and experimentation, a modern counterpart to fundamental traditions of experimental jazz, to Ascension and the Art Ensemble of Chicago, are described, aptly, as "messy, glorious, big-hearted." Comprising trumpet, clarinet, saxophone, trombones, upright bass, electric guitar, percussion and drums, their instrumental pallette is truly broad in its scope despite its markedly traditional makeup. Significantly, both artists' musical heritages are firmly rooted in North American traditions. Both simultaneously exemplify and transcend their foundations, bringing together a sound that that implies both, but is galvanised and transformed into a record that sounds like neither. The collaboration took flight over 2009, as Daniels worked on a new set of music, taking lyrics from the poems of 19th Century American author-poet Henry David Thoreau. Daniels began sending sketches of songs to White in September 2009. White scored arrangements - meticulously, masterfully put together - that flutter, trill, groove and crash, bracing and swelling around Daniels' honeyed voice, dodging harmonies unexpectedly in places and densely weaving a vast, jubilant collage of sound in others. Contributing as much reserved, considered ensemble playing as free-jazz vibrancy, Fight the Big Bull's attention to detail and subtlety in their performance also yields a result comparable in places to the West Coast minimalists - Terry Riley/Pauline Oliveros/La Monte Young etc. - whilst noticeably referring to various strains of trad. jazz in others. A departure of sorts for the band, but one that beautifully interacts with Daniels' songwriting. Their first album together - 'I Mean To Live Here Still' - was released in June 2010.